(For Important Information, Please Read The Entire Description) Many people cannot afford the cost nor abide the long waiting lists to acquire a trained Service Dog from an organization and so are opting to train their own. I believe that everyone who needs (and wants) a Service Dog should be able to have one, so I’m retiring from my Service Dog Training Coach business to focus on consolidating my lifetime of training experience into books (as well as dedicating time to answer questions for my readers, on the phone or via Skype as well as on the Facebook Group (facebook.com/groups/180613442286351/) all of which will be available for as long as my health permits, in case you have a training question that the book didn’t answer). 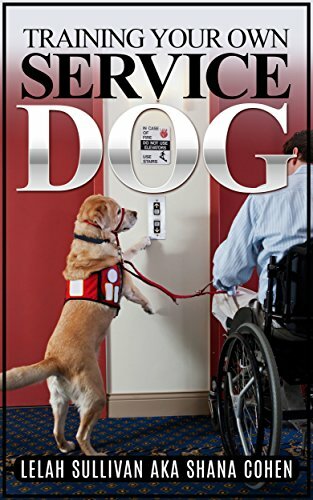 If you are training your own Service Dog, this book will help guide you through the process. It starts with the basics, creating a firm foundation to build upon for any type of Service Dog that you may be training. When you finish the 30 Day Intensive Training Program included in this book, your dog will have several foundation behaviors that he’ll need to do his Work as a Service Dog, as well as one Task that can be customized to the individual for a number of types of disabilities. I’ll show you how to teach your dog to help you deal with your life challenges, and with this method of training, he will “learn how to learn,” which will make your job of continuing his training even easier!